Wolf-Garten Multi Purpose Scissors ensures a high quality multi-use cutting garden hand tool for flowers, weeds or thin twigs with easily-cleaned stainless steel blades. 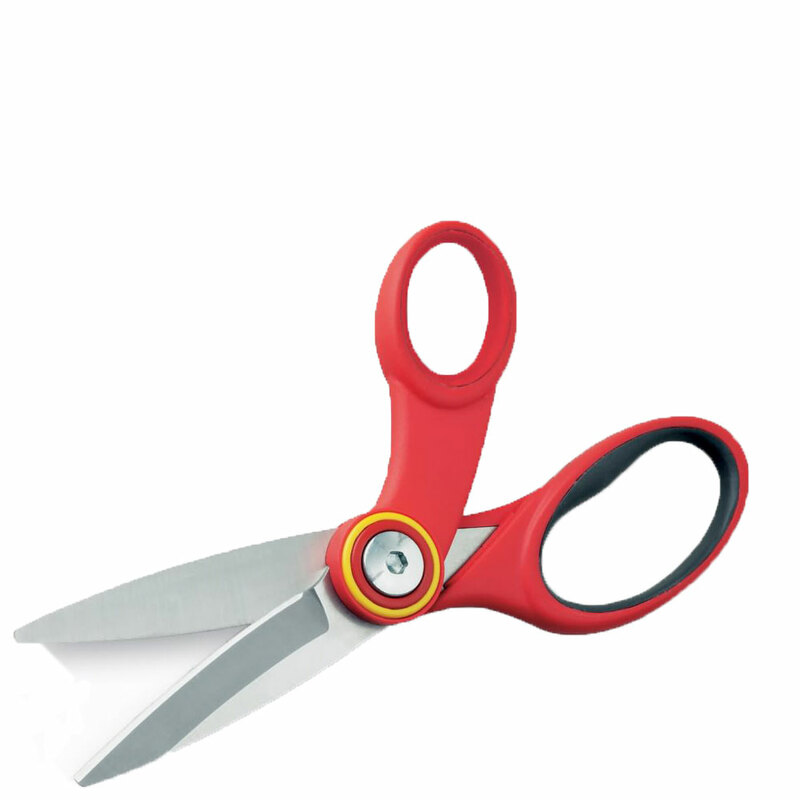 Wolf have suitability tested these multi-purpose bypass design scissors for cutting floristry wire using the special integrated wire cutter. Further cutting materials tested around the home include fabric, carpet, paper, cardboard and other arts & crafts materials. Wolf's Multi Purpose Scissors are constructed from steel for extra strength with plastic grip handles specifically designed to ensure control, comfort and power with a non-slip grip inlay.